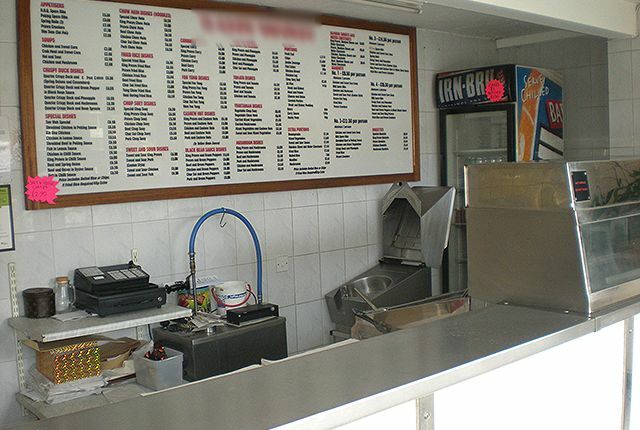 Meridian Business Sales are delighted to offer for sale this Chinese take away and chip shop which was established by our clients 30 years ago. Our clients are reluctantly offering the business to the market due to a desire to move abroad. Since our clients took ownership of the business they have run the takeaway at a pace that suits their lifestyle, meaning that there is massive scope for a new hands on owner operator to further develop the business. Our clients inform us that they generate a respectable annual turnover which is derived from the sale of traditional fish & chip style foods as well as quality and varied Chinese menu to take away. The business enjoys a strong reputation within the local community and as such has a high level of regular and repeat trade. This is a superb opportunity to purchase an established business, which is a great base to build upon and as such early viewing is highly recommended as this superb business is not to be missed. This superb business is located in the beautiful area of Churchtown which is in Merseyside. The shop is situated on the highly affluent and desirable Botanic Road which has a fantastic display of independent commercial style businesses and retailers. The location is ideal as it's situated at the entrance of Churchtown centre whilst also having free of charge roadside parking making it an ideal convenience for all who wish to visit. Churchtown is a highly desirable and affluent area which is filled with charm and character. The location also benefits from being less than 16 miles away from the M6 motorway which makes visiting and commuting very easy.